Great Gift – Stylish, and durable our ACU Camouflage Paracord Bracelet is a perfect gift for ALL age groups. 20% Donated- Feel great about your purchase! Buy this ACU Camouflage Unity Band and we will donate 20% of every purchase to a nonprofit organization that supports our troops, so you can feel awesome knowing that you're making a difference. Extremely Durable- This ACU Camouflage Paracord Bracelet is made from real, authentic 550 parachute cord so it's durable in almost any situation. The Unity Band is more than just a ACU Camouflage Paracord Bracelet. It is a symbol of people uniting to help those in need. From the care that goes into each knot braided by hand, to the love spread by the awesome organizations we support. A Unity Band is the only paracord bracelet that is not just a symbol of survival, but of strength and Unity. Handmade with 550 parachute cord, the Unity Band paracord bracelet is very strong. The 550 cord is made of 7 inner nylon strings that can hold a combined weight of 550 LBS without breaking. Making it almost impossible to destroy a Unity Band! 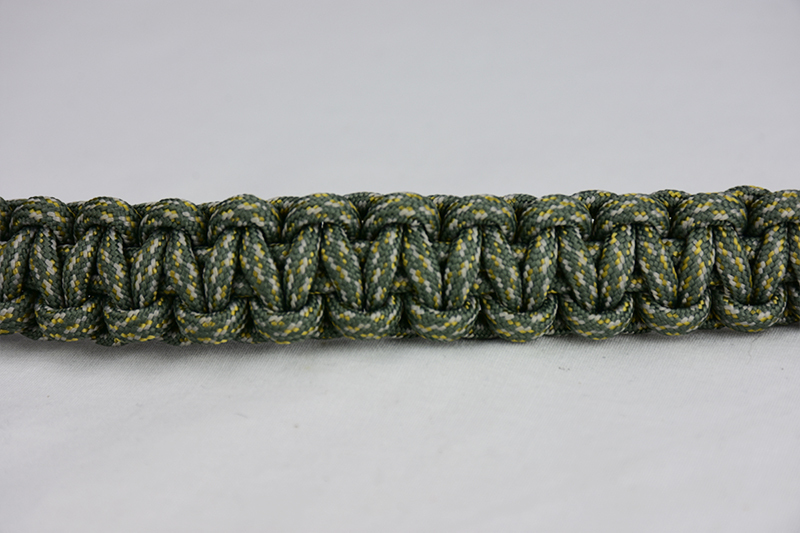 Have questions about this ACU Camouflage Paracord Bracelet? Contact us and we will respond to you as soon as possible!